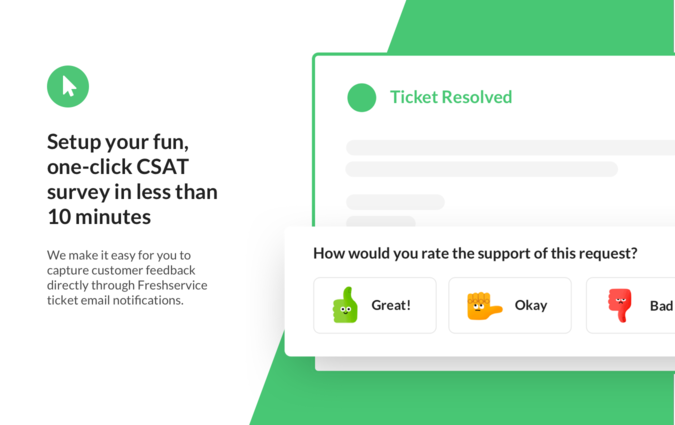 Add fun CSAT surveys directly to solved ticket email notifications. 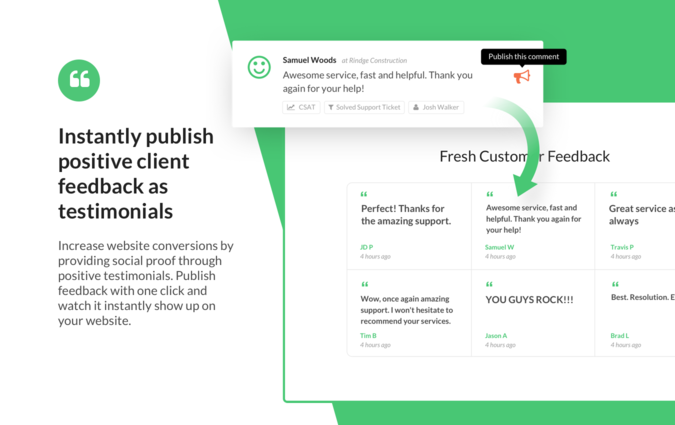 Turn your positive feedback into real-time website testimonials. 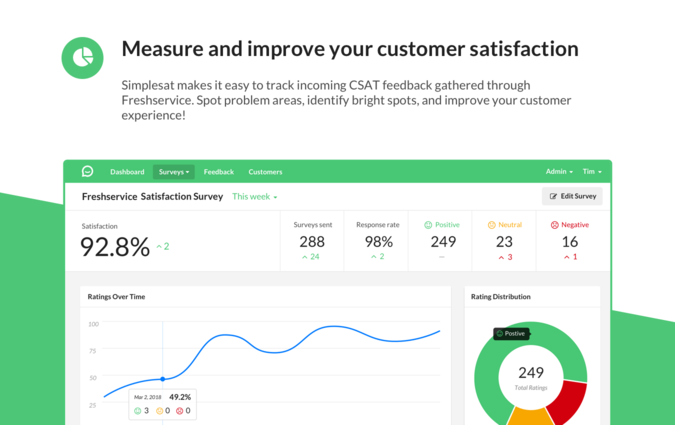 For service businesses who are dissatisfied with clunky surveys and out-of-date testimonials, Simplesat is a one-click CSAT survey+testimonial generating engine that provides SMBs with the feedback they need to retain clients, and social proof to attract more. 2. Create a new Generic Embed survey. 3. Customize your survey, then add Freshservice's placeholders in the Embed Code section. Copy the code. 4. In Freshservice, go to the Email Notifications section. 5. Choose the Agent Solves the Ticket option in the Requester Notifications tab. 6. Paste the survey you copied to the bottom of the message. Click Save and you're done! Don't have a Freshservice account?